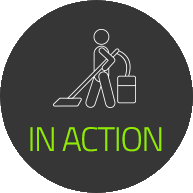 Carpet Cleaning Plainfield looks forward to bringing the life back to your carpets! 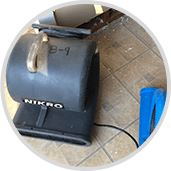 So you've tried professional carpet cleaning before, and didn't notice much difference. You're probably considering replacing all the worn carpeting in your house, but wait! Perhaps you just didn't use the right method of professional carpet cleaning. Many people don't even know there are multiple types. Many people simple call the company who sends a coupon in the mail. Dry compound: No water is used in this process. Rather, a powder (which theoretically contains a tiny amount of water, detergent and solvent) is sprinkled onto the carpet, is agitated into the carpet, and is then vacuumed up. 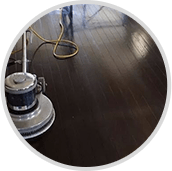 Carpet shampooing: a very sudsy shampoo is applied to the carpet, the foam theoretically attracts dirt, and the foam and dirt is then vacuumed up. Steam cleaning or 'hot water extraction': hot water is finely sprayed into the carpet, which shakes the dirt and debris loose, and is immediately sucked up with the water. Many service providers offer carpet shampooing. This may have been what you tried before. 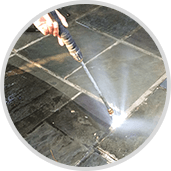 Now, the industry is recognizing the huge advantages of carpet steam cleaning. In fact, if you check with your carpet or area rug manufacturer, this is the method they most likely recommend. Why? Steam cleaning uses hot water as the only cleaning agent. Unlike other chemicals and solvents, hot water will absolutely not cause any harm to the carpet fibers. Harsh cleaning chemicals might weaken the carpet fibers, leading to a shorter lifespan of the carpet. Steam cleaning is the only cleaning method known to achieve a 'deep clean'. This is because the water is actually injected deep down into the carpet, loosening dirt and debris way down inside the carpet fibers, whereas shampoos and dry compounds only achieve a surface clean. 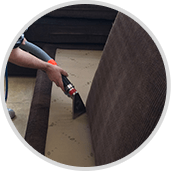 Carpet Cleaning Plainfield has been providing steam cleaning services for many customers in your area. Our clients are more than pleased with the appearance and feel of their carpets after we have left. What exactly have we done? 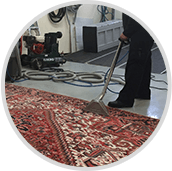 Carpet Cleaning Plainfield have removed many common stains, including ink stains, red wine stains, food stains and oil stains, and we have removed an immensely larger quantity of dirt, dust, dust mites, and other allergens from deep within your carpets. We have lengthened the lifespan of your carpets by removing these particles which weaken fibers. 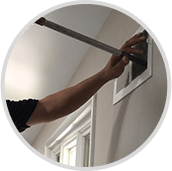 Instead of replacing your wall to wall carpeting or area rugs, give Carpet Cleaning Plainfield professional's steam cleaning a shot. We are positive you will be more than impressed with the results we provide. Carpet Cleaning Plainfield looks forward to your call. Call PlainfieldCarpetCleaningNJ.Com at 908-301-6333 today - your satisfaction is guarantee.